Loudoun County’s growing corporate presence has drawn the attention of an innovative new lodging company known as WaterWalk, which owns and operates a version of an extended stay hotel known as a corporate lodging facility. With the assistance of Walsh Colucci, WaterWalk recently gained approval of a special exception application to accommodate a 153-room, four-story corporate lodging facility on a 5.49-acre property within Commonwealth Center abutting Route 7 and Russell Branch Parkway. The property is located within walking distance of One Loudoun. As a growing brand, WaterWalk is focusing its efforts in areas with high concentrations of corporate headquarters/Class “A” office markets, high relocation rates, and technical training – all of which require longer stays. As Loudoun County’s economy continues to add corporate workers throughout many diversified types of businesses, demand has increased for newer extended stay hotel concepts which combine the amenities of apartment living and the economics of an extended-stay hotel into one facility. WaterWalk is composed of silver and gold packages that operate as one facility. The silver package is priced on a monthly basis and includes one, two, or three bedroom units which include all utilities, internet, local phone, gym membership, trash service, and television service. The gold package is priced on a daily basis and includes every item in the silver package plus a custom furniture and sleep package, kitchen, customized breakfast options delivered weekly, full service housekeeping, and access to a lounge that is open 24 hours a day. The WaterWalk concept provides an alternative to the traditional model of corporate lodging – that is, where companies lease apartments, furnish them, and rent them to employees in order to control inventory. 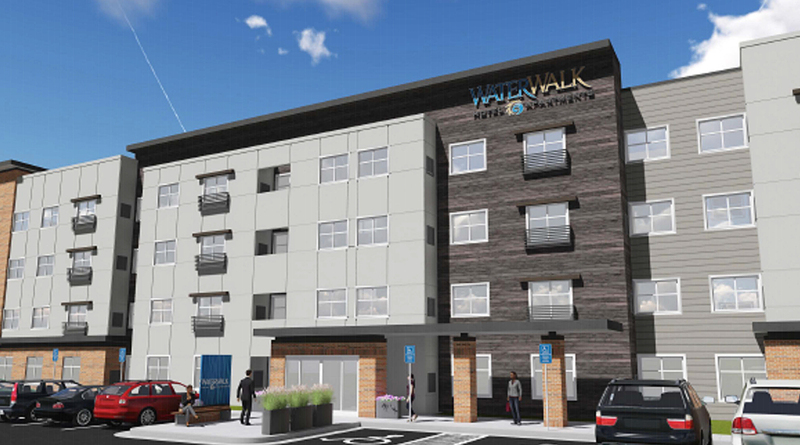 It is anticipated that companies using WaterWalk for their corporate lodging needs will find an added level of convenience and quality over other corporate lodging alternatives. This includes a national sales team and full support staff that are accessible and available on-site 24-hours a day for any guest needs, increased flexibility in lengths of stay, competitive pricing, and premier safety and security measures.